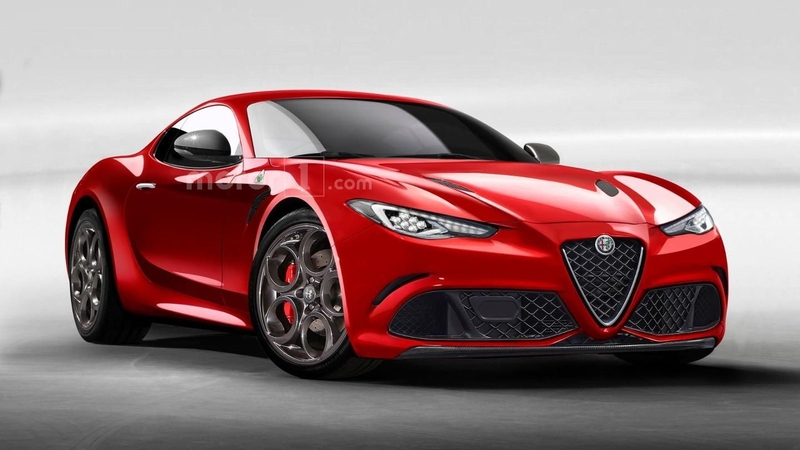 As reported by our foreign colleagues who had the honor to personally communicate with representatives of the famous Italian automobile brand Alfa Romeo, the official presentation of the new generation of the Alfa Romeo 6C sports car can take place this year. Perhaps it should be noted that this sports series was produced in the period from 1925 to 1954. The guys from the Italian car brand who wanted to remain anonymous say that the official presentation of the novelty will take place at a well-known car salon either this year or the next (which seems more likely), well, the mass production of the car is scheduled for the beginning of the 202nd year. In his recent publication on the Facebook social network, Pogea Racing employees, a tuning workshop that has been involved in the modernization of Alfa Romeo cars for many years, said: "The Alfa Romeo 6C is fully confirmed. Production is scheduled for early 2020, the car will probably be shown this or next year at one of the world's car showrooms." It is reported that Fiat Chrysler Automobiles has signed all the necessary documents in order to give "green light" to the model 6C production.